$28.00 Available at IndieBound and other sellers. 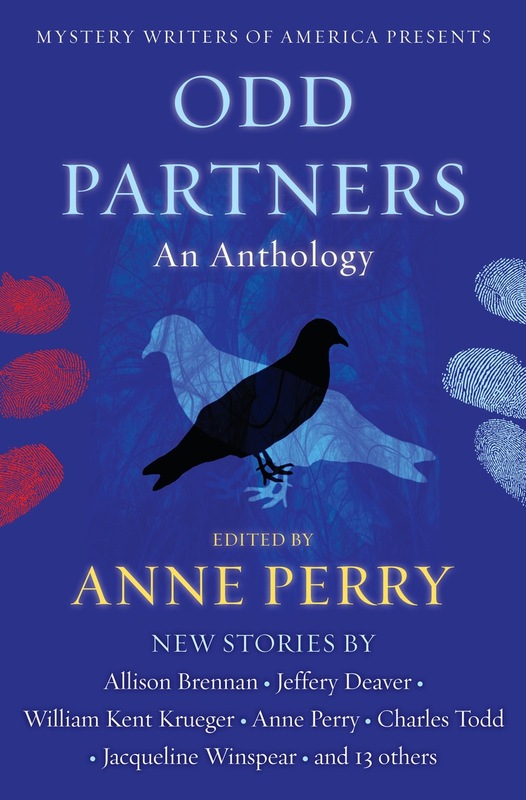 Unlikely pairs join forces to crack intriguing cases in an anthology edited by New York Times bestselling author Anne Perry, featuring nineteen original stories by Jacqueline Winspear, Jeffery Deaver, Allison Brennan, Robert Dugoni, Charles Todd, and many more, including Perry herself. There have been many celebrated fictional detective teams over the years: Sherlock Holmes and John Watson. Nick and Nora Charles. Hercule Poirot and Arthur Hastings. Thomas and Charlotte Pitt. 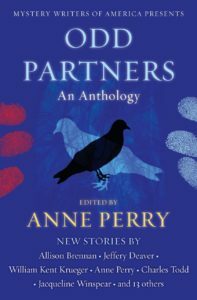 The last pair is the creation of beloved mystery writer Anne Perry, who, as the editor of Odd Partners and in conjunction with Mystery Writers of America, has enlisted some of today’s best mystery writers to craft all-new stories about unlikely duos who join forces—sometimes unwillingly—to solve beguiling whodunits.